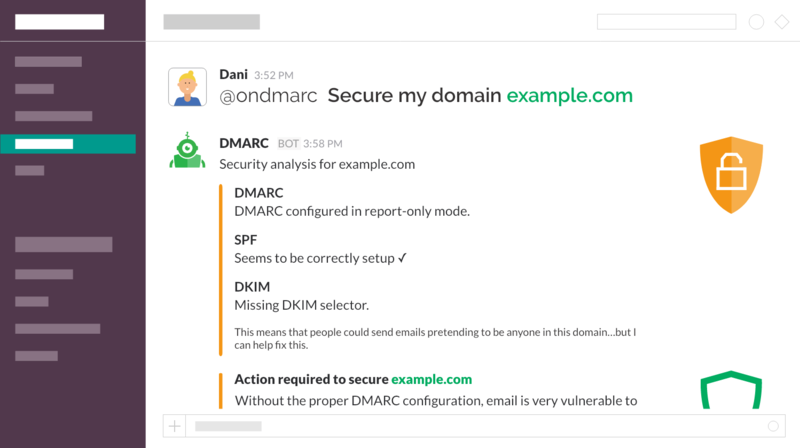 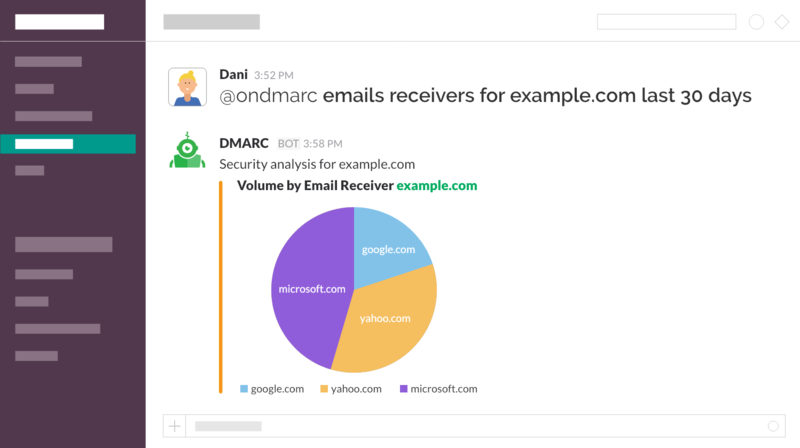 Our Slack bot send you reports about your email traffic so you don't have to login into the OnDMARC application to get the latest insight. 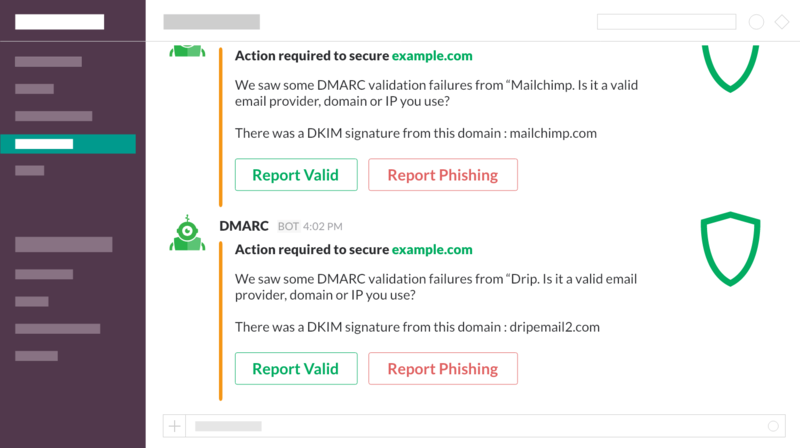 Instantly and easily fix issues as they arise. 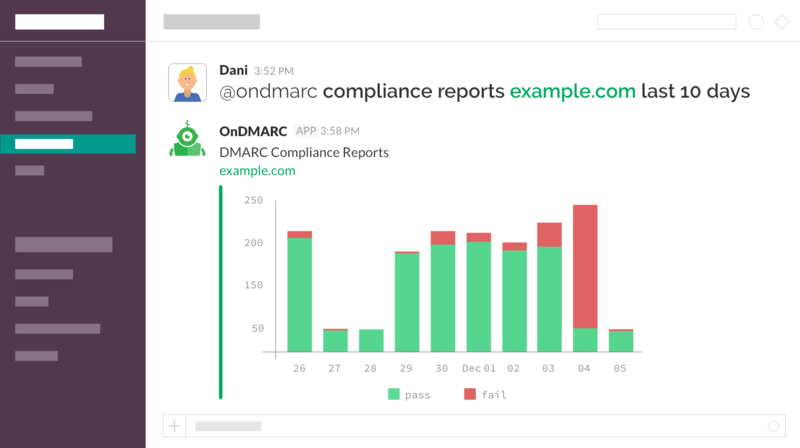 Automate reports on failures so they appear in Slack alongside actions on how to fix and resolve them.